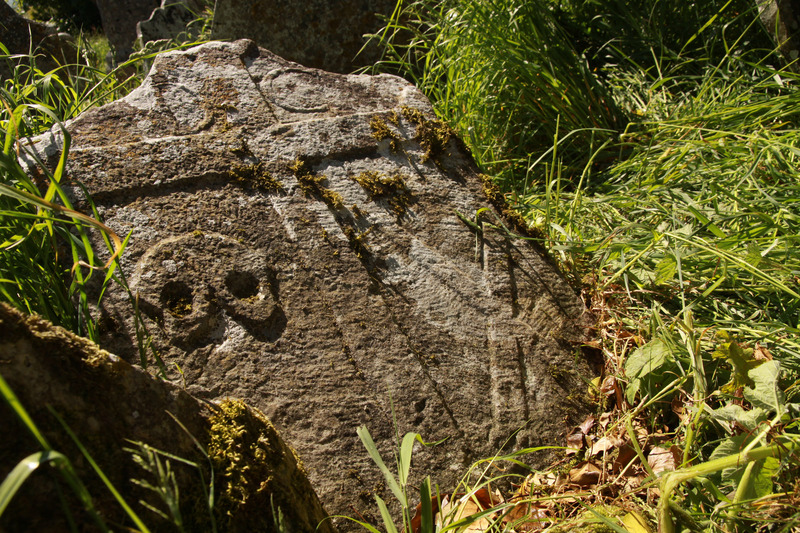 SMALL CROSS - INSCRIBED HEADSTONE with 2 very large MEMORIAL SYMBOLS viz. a SKULL measuring 8 inches high by 6 inches wide and 2 LONGBONES which are crossed. The letters D and C are inscribed in the top quadrants. This small stone measures 30 inches high by 23 inches wide. 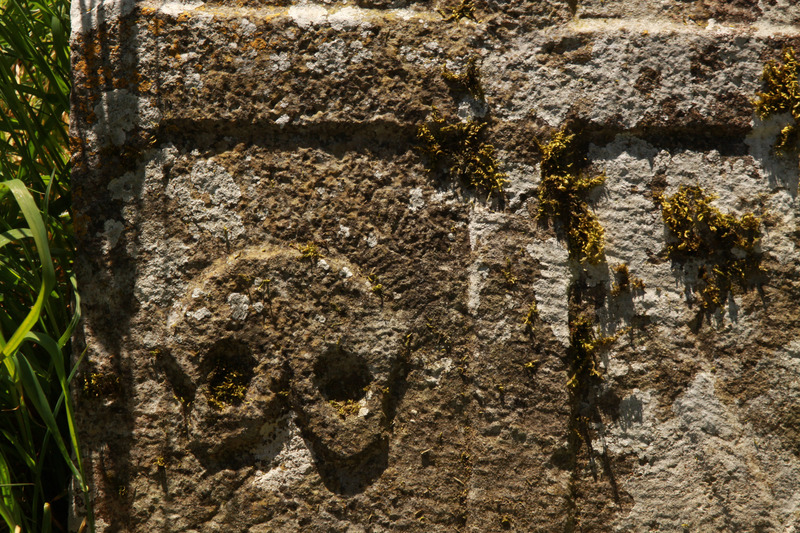 These may not be letters but representations of the moon and the sun, symbols sometimes found on memorial stones. These represent night and day and/or the beginning and the end. 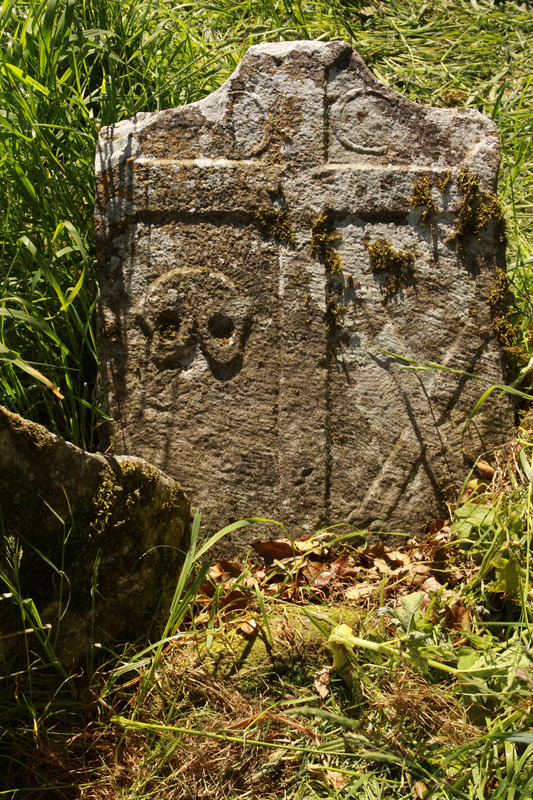 This headstone is likely to date from the second half of the 17th century and if it does it represents the earliest memorial recorded in Knockavilla graveyard.